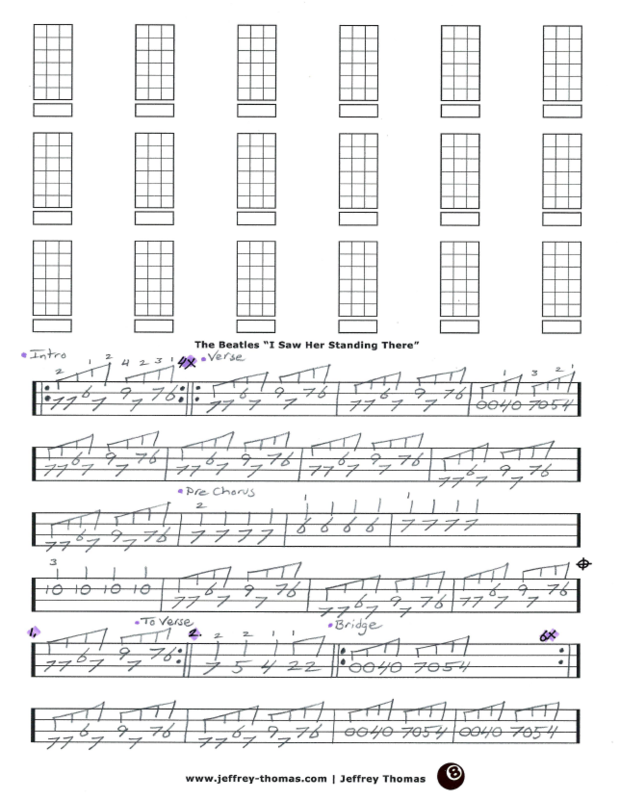 The Beatles I Saw Her Standing There Free Bass Tab by Jeffrey Thomas. Learn the complete song with my bass tab arrangement from the classic studio version of the song. All the proper song structure with repeats and great bass fill by Paul are in the tab. This is a very popular song with my bass students and a must know tune for most working bass players. Want the full bass tab for free? Send in your email address using the form provided and I’ll send it to you. Looking for online bass lessons? Fill out the Schedule A Free Lesson form to set up your free Skype bass lesson today! Another classic by Paul and John that peaked at #14 on Billboard’s Hot 100 in 1964. Make sure to check for more hot tunes, lessons and tabs in my online bass tab archive.